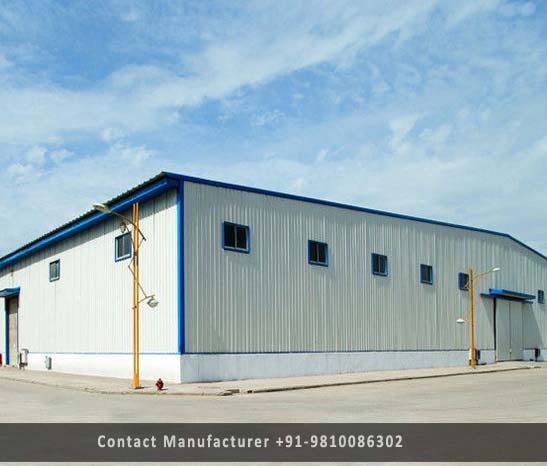 Prefabricated Industrial Sheds Manufacturer in Delhi, Prefabricated Industrial Sheds Supplier in Delhi, Prefabricated Industrial Sheds in Delhi. To meet the varying demands of our valued clients, we are putting forward an exclusive assortment of Prefabricated Industrial Sheds. By a highly experienced team of our professionals, these sheds are manufactured by utilizing quality examined components with the aid of pioneering techniques. These sheds are useful for temporary accommodation of workers in industrial sites. Moreover, clients can avail these sheds at highly competitive prices from us.